Visiting Walt Disney World may be on your lifetime bucket list, but what happens once you arrive? Plan to get the most out of your Disney World vacation with a “Disney bucket list” of must-dos! Let’s take this Disney trip from simply memorable to truly EPIC! Disney doesn’t just do fireworks… they do projections, lasers, fire, and music! All of this combined with the nighttime Florida air and those you love close by make for a perfect way to wrap up a night at Disney World. Happily Ever After at Magic Kingdom is our preference for a bucket list must-do, but we also highly recommend IllumiNations at Epcot and Star Wars: A Galactic Spectacular at Hollywood Studios. No fireworks at Animal Kingdom, but the Tree of Life Awakenings is beautiful! Disney knows how to set the stage! Outside of the fun rides, Disney is loaded with awesome entertainment and shows. From Beauty and the Beast – Live on Stage at Hollywood Studios to Dapper Dans performing at Magic Kingdom, we can’t get enough of Disney’s entertainment. Our bucket list must-do for entertainment would have to be the nighttime show, Fantasmic! at Hollywood Studios. Sorcerer Mickey battles some of the evilest of Villains. This show includes water screens, projections, music, and a plethora of Disney characters. 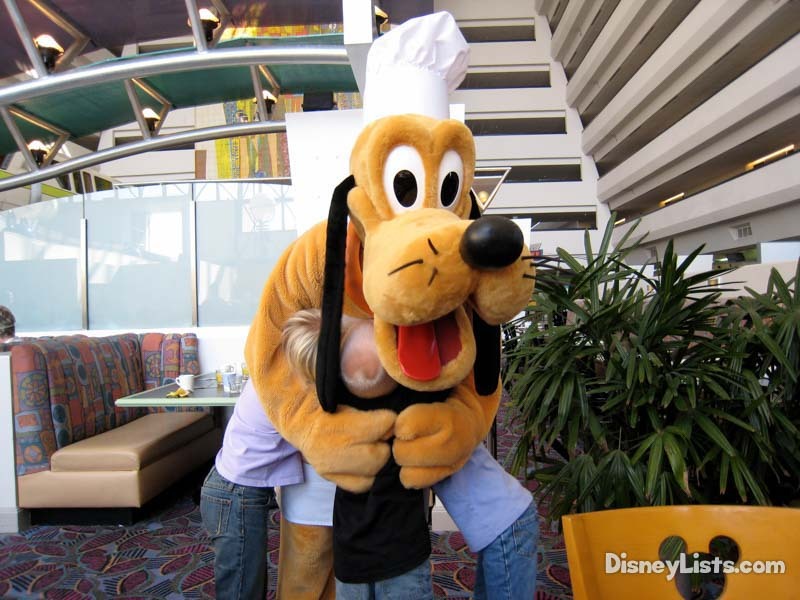 Character dining is the way to go because instead of waiting in line, the characters come right to you! A few top picks include Chef Mickey’s, Cape May Café, Crystal Palace, Trattoria al Forno (breakfast), and ‘Ohana (breakfast) just to name a few. Enjoy a variety of cuisines and characters! But, our absolute bucket list must-do is Cinderella’s Royal Table. There is just something magical about eating INSIDE the Cinderella Castle and getting a warm welcome from Cinderella while you’re at it! 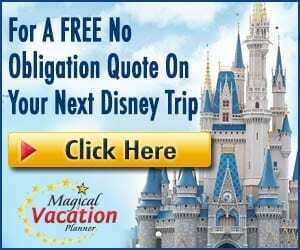 Stay on Disney World property at one of their many resorts and chances are you’ll have the stay of a lifetime! The resort guest perks such as complimentary MagicBands and earlier FastPass selections are just the start of good things to come. Different theming is available at the many different resorts, but our bucket list must-do resort is the Polynesian Village Resort for all of their superb amenities. Don’t forget to stop and pause for a moment in front of one or all of the four Disney World theme park icons. Our bucket list must-do is a family photo in front of Cinderella Castle at Magic Kingdom. The Tree of Life at Animal Kingdom is breathtaking; Epcot’s Spaceship Earth is impressive; and Hollywood Studios Chinese Theater or Tower of Terror are great icons! Capture the moment both day and night as all the icons change drastically once the sun goes down. The trio of original mountains includes Space Mountain, Big Thunder Mountain Railroad, and Splash Mountain. They are all timeless and still take our breath away! We could even add Expedition Everest, Seven Dwarfs Mine Train, and Summit Plummet to the list of Disney Mountains. But, as thrilling as all of these are in their own way – our bucket list must-do mountain is Space Mountain! Whether it’s a new restaurant or a totally new land, we find ourselves easily adding the newest Disney excitement to our bucket list must-dos. New technology and gifted Imagineers are always amazing us with the latest! Right now, we can’t get enough of Pandora – The World of Avatar, the newest land in the Animal Kingdom theme park. Avatar Flight of Passage, Na’vi River Journey, Satu’li Canteen, interacting land and plants, and walkways that glow at night… you won’t be disappointed to check out the latest! You are a toy! You won’t believe how fun it is to shrink down to the size of a toy and play in Andy’s backyard. Through the immersive theming you’ll “play big” and have a fantastic time meeting Woody, Jessie, and Buzz. 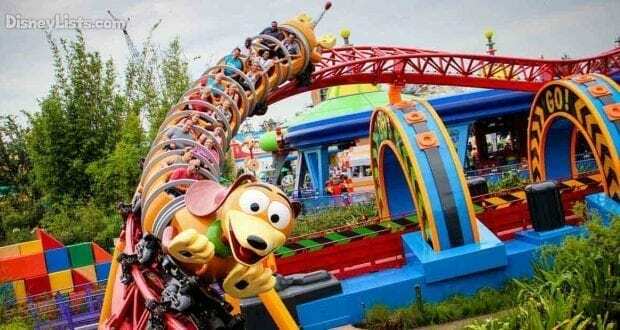 Slinky Dog Dash, a family-friendly coaster, quickly became a fan favorite and must-do very quickly. Alien Swirling Saucers is a fun spin ride, and Toy Story Mania’s remains as popular as ever! You don’t want to miss visiting this new land! Pin Trading and/or Penny Pressing are great ways to enjoy your souvenirs during and after your Disney vacation! Pin Trading is on our bucket list must-do because it’s a wonderful way to meet people from all over and interact with Disney’s excellent Cast Members. 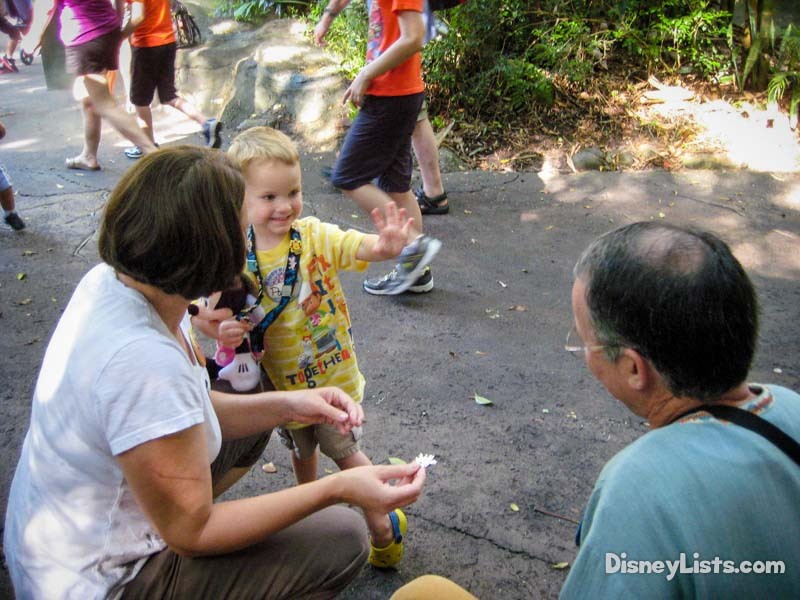 Penny Pressing is fun for the whole family and makes for a great scavenger hunt throughout the theme parks and resorts. With endless tasty treats available throughout Disney’s theme parks, we can’t help but add this to our bucket list must-dos! Heaven comes in Mickey ear form with the Mickey Premium Ice Cream Bar. While this ice cream might be our favorite memorable Disney treat, we also can’t get enough of Dole Whips, Churros, and of course the Mickey Pretzel! We might not be able to afford traveling around the world regularly, but Epcot’s World Showcase gives us the opportunity to visit 11 countries! Each country has unique architecture specific to its’ homeland, themed music, shopping, a wide array of cuisines, assortment of drinks, and excellent entertainment. Touring the World Showcase is definitely for our bucket list must-dos. It’s ALL about the classics! Disney’s most magical, pixie dust filled attractions are the classic ones in our opinion. We especially love knowing that Walt had a hand in many of these attractions. Our bucket list must-do is Pirates of the Caribbean at Magic Kingdom. There is something just wonderful about having “Yo Ho, Yo Ho, A Pirates Life For Me!” stuck in our head for the rest day! An absolute bucket list must-do is meeting the characters that make us feel like young kiddos again! We especially love meeting the Mouse that started it all. Mickey Mouse talks to guests at Town Square Theater on Main Street U.S.A. at Magic Kingdom. 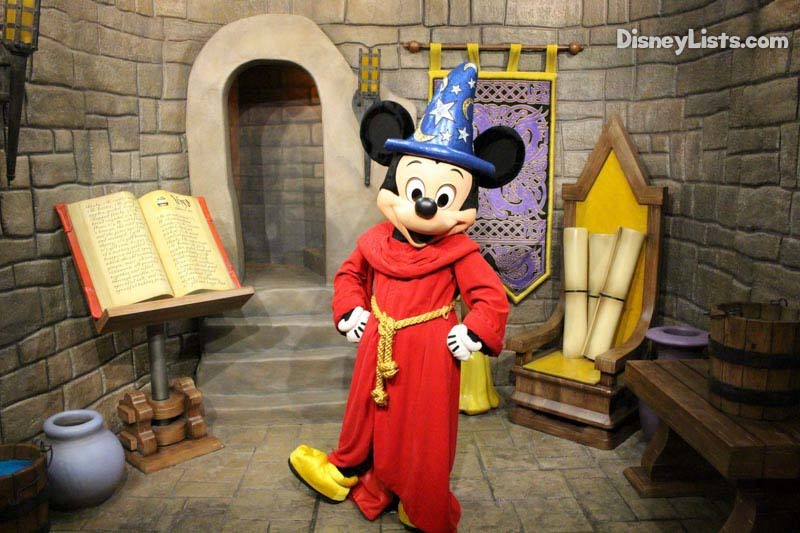 We also love meeting the classic Sorcerer Mickey at Hollywood Studio’s Red Carpet Dreams. We already said how wonderful we think Disney does fireworks… well, their parades are just as superb! While the March of The First Order at Hollywood Studios gives us the chills, Festival of Fantasy Parade at Magic Kingdom is our bucket list must-do parade. Huge, tremendously detailed, floats ride by with all of our favorite characters and memorable music. Don’t skip out on this one! We’ve covered meals, desserts/snacks – but we highly recommend a visit to one of Disney World’s numerous lounges. One of our favorite ways to start off a trip and to end a trip is with a visit to a lounge. It’s a perfect way to unwind with a refreshing glass in your hand. It doesn’t have to be an alcoholic beverage either! Our bucket list must-do lounge is the Top of the World Lounge at Bay Lake Tower. 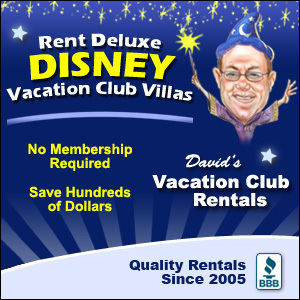 Keep in mind, you either need to be a Disney Vacation Club Member or be friend with one to gain access! The drinks served here are exceptional and the view (especially during Magic Kingdom’s Happily Ever After fireworks) is outstanding. Our kids especially appreciate this one! Using Disney’s complimentary transportation makes the trip to and from the parks a fun one. Plus, you don’t have to worry about directions! Boats and buses are all part of the experience, but the Monorail is our choice for our bucket list must-dos. What are your Disney World bucket list must-dos? We’d love to hear from you!